Brothels in Fukuhara, Kobe’s renowned red light district. 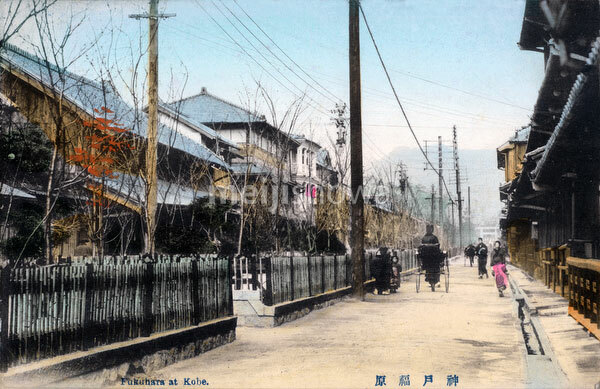 Although the district never appeared in tourist guides and official histories, Fukuhara was Kobe’s main attraction. When in 1874 (Meiji 7), the local population was asked to vote for Kobe’s eight most popular areas, Fukuhara made the top spot by a landslide. Clearly, the voters were all men. See blog entry.